Reinvent M&A. The single most powerful thing you can do to transform your organisation. Sustainable growth through mergers & acquisitions is achievable. There was no conscious decision point 20 years ago where we said we would be specialists in delivering mergers and acquisitions. The variety of deals we’ve worked on has meant it’s taken us two decades to reach the point where we rarely come across something we haven’t seen before. Each integration has been intellectually challenging and has needed personal commitment to make it work. The best part is when we leave a client: as a single team aligned by common goals, refocused on their customers and the next stage of growth for their business. Our fresh thinking is born from challenging everything about how mergers and acquisitions are delivered. The commonly accepted way of doing things is wrong. Working with us will feel different to anyone else you have worked with before. What does success look like? Where do you want to get to in 3 to 5 years? How quickly is the market evolving and what are the drivers for change? Who is innovating and disrupting…are you reacting or leading? How does M&A fit into your strategy? Is your instinct full integration or keeping the target at arms-length, why? Who are the targets you’re currently looking at? How well do they fit into your growth strategy? What is the full potential you could achieve with the deal? Is it primarily cost control or revenue growth? Is it tried and tested, or building something new? How will your organisation react to the deal? Is your organisation people or process driven? How much autonomy is there and how do you make decisions? Who in your team do you trust to develop and deliver the plan? Why? How many deals have you been through recently? What has succeeded and failed in previous transformation programmes? Gorillas are important to us. They are our fellow primates on our planet, and we believe it’s important how we treat our fellow beings on the Earth. Three-quarters of primate species are in decline, and about 60 percent are currently threatened with extinction.  We chose the gorilla to represent our brand as it helps us remember that we are emotional and irrational beings that have found themselves in a dominant position on the planet thanks to our ability to tell stories, develop myths and share common beliefs… all allowing us to collaborate with a much larger band of people. The word ‘Humanity’ has synonyms such as compassion, brotherly love and philanthropy. We donate 1% of our annual revenues to the Dian Fossey fund. Please do anything you can to help. The London Stock Exchange Group could rebrand itself as International Data Inc. In a decade, the company has gone from a local equities market to global information and services business. A deal to buy Citi’s bond index and analytics platform represents another bite of the cherry. Amid the seemingly unstoppable popularity of data-driven investment, the $685m (£530m) cash deal makes sense. Unlike LSE’s failed merger with Deutsche Börse, the purchase is unlikely to draw political heat. Mondelez has announced plans to buy an 80 per cent stake in Vietnamese snack company Kinh Do for $370m as the global snacks company seeks to expand its presence in the fast-growing Asian market. Tim Cofer, president for Asia-Pacific and eastern Europe, Middle East and Africa, said the acquisition would allow Mondelez to expand its relatively small Vietnamese business by using Kinh Do’s well-established distribution network. Aviva said it had completed more than 90 per cent of the wide-ranging disposal plan the UK insurer launched in the summer to shore up its balance sheet after it raised a further £152m in cash by selling its Malaysian joint venture, CIMB-Aviva. Canada’s Sun Life Financial and Khazanah, the Malaysian sovereign wealth fund, agreed on Thursday to buy the business from Aviva and its joint venture partner, the lender CIMB. The Malaysia disposal means Aviva is on track to raise £2.5bn from a series of deals around the globe in recent months, including the sale last week of its remaining stake in Amsterdam-listed Delta Lloyd. San Miguel, purveyor of one of Southeast Asia's oldest and most popular beers, is not your typical food and beverage company. Over the past two years, the group has ventured outside its comfort zone of drinks, processed foods and packaging, to make acquisitions in power, mining and tollways. The resolve of Chief Executive Eduardo Cojuangco to diversify into heavy industry and infrastructure was further underscored on Thursday with the acquisition of Exxon Mobil's downstream business in Malaysia for US$610m. Standard Chartered and Australia’s ANZ are close to buying part of RBS’s Asian banking assets in a deal that could be announced as early as next week. RBS, which reports first-half results on Friday, has been trying to sell retail assets that include 170 branches, with 28 in India and 13 in China, as it tries to shrink its balance sheet. StanChart has been interested in acquiring RBS units being sold in China, India and Malaysia, while ANZ is closing in on acquiring assets in Hong Kong, Taiwan, Singapore, Vietnam and Indonesia. The assets are expected to fetch about $1bn-$1.5bn (£600m- £900m) for the stricken UK lender. Tui and First Choice Holidays are to merge their tour operating business to create Europe's largest tour operator. The deal comes just a month after MyTravel and Thomas Cook agreed to merge their operations and if completed would see Europe's four leading tour operators consolidate into two. The German-based operator, whose brands include Thomson Holidays of the UK and the European Airtours, is to take a 51 per cent stake in a business to be called Tui Travel. As private equity bid fests go, this was a big one - and by all accounts it went down to the wire. Clear Channel Communications, the advertising and radio group, announced on Wednesday that a buyout group led by Thomas H Lee Partners and Bain Capital will pay $26.7bn to take the business over. That includes taking on $8bn of debt and equates to $37.60 a share in cash. Consolidation normally holds out the prospect of improved profitability. The opposite is true in the UK mortgage market. Nationwide's acquisition of Portman propels the combined building society into the number two slot in the UK mortgage market with a share of 11 per cent. Because both are mutuals, any excess profits are returned to members in the form of lower pricing, which means the new, larger entity could intensify downward pressure on pricing. They are happy to live with a return on equity a few percentage points lower than their bank competitors. When Richard Baker told investors in March that he was determined “to put the chemist back in Boots”, no-one had an inkling that a £7bn merger was the way the softly spoken chief executive intended to do it. But the tie-up between Boots and Alliance UniChem will achieve just that – and a lot more. Overnight, the proposed ‘merger of equals’ will make Boots, a retail chain of 1,400 health and beauty stores in the UK, a serious operator in the pan-European pharmaceutical wholesale and retail market. Ono and its private equity partners are thought to be closer to securing a deal to buy the fixed-line and cable assets of fellow Spanish telecom business Auna. The proposed deal would be worth about €2.5bn ($3bn), including debt. The proposed acquisition is central to the related but much larger sale of Auna's mobile phone business, Amena. Our footprint is truly global, we don’t have a limited number of offices and travel according to the needs of our clients. In the last three years we’ve delivered projects for clients in London, Paris, New York, Cologne, Singapore and Mumbai. We help our clients grow sustainably through acquisitions, uniting an agile approach with smart thinking and collaboration.